Some, But Not All: How the North Carolina Planned Community Act affects Pre-1999 Planned Communities - Ward and Smith, P.A. In 1999, the North Carolina General Assembly enacted the North Carolina Planned Community Act ("Act") as Chapter 47F of the North Carolina General Statutes. The Act was intended to establish certain rights for property owners in planned communities, establish a framework of rules and regulations to govern planned communities, and grant owners' associations the powers necessary to manage them. Prior to the Act, planned communities were governed solely by the declaration for the community, the articles of incorporation and bylaws of the owners' association, and possibly a set of rules and regulations (collectively, the "Governing Documents"). Some case law addressing interpretation and application of Governing Documents also existed, but it was limited. Many Governing Documents did not account for circumstances and events common to planned communities, and the purpose of the Act was to fill those gaps and to provide solutions to many of the problems created by ambiguous or missing provisions in poorly drafted Governing Documents. While the Act, as a whole, applies to planned communities created after January 1, 1999, some, but not all, of the provisions also apply to planned communities created prior to January 1, 1999. While this partial application occasionally provides some guidance to pre-1999 communities, it can also cause confusion for them because the answers to other important questions can only be found in the community's Governing Documents, and such answers are often hard to find or, even worse, not addressed at all. • Amendment of the declaration. Associations are often faced with a need to convey a portion of the community's common elements to address a boundary line issue, as security for a loan to the association, or for any number of other reasons. Many declarations do not grant the association board of directors power to convey any interest in the common elements. Therefore a conveyance will require some level of member approval. But what level? A majority, a super-majority, or unanimous consent? For post-1999 planned communities, the Act clearly specifies the level of member approval. N.C. Gen. Stat. § 47F-3-112 provides that the common elements may be "conveyed or subjected to a security interest by the association if persons entitled to cast at least eighty percent (80%) of the votes in the association, or any larger percentage the declaration specifies, agree in writing to that action." However, N.C. Gen. Stat. § 47F-3-112 does not apply retroactively to pre-1999 planned communities. Those communities must therefore rely solely on the language, if any, in their declaration or other Governing Documents; and, unfortunately, the Governing Documents of many pre-1999 planned communities do not contain specific provisions regarding the conveyance of common elements. When they do, they often do so in ambiguous terms and the pre-1999 community must interpret its Governing Documents to determine what level of member approval is appropriate. As can be expected, association directors and members often differ, sometimes strongly, in their interpretation of the association's Governing Documents. Unanimous consent is almost impossible to obtain and there is no guaranty that complying with the Act will enable a pre-1999 planned community to withstand a challenge from a member who opposes the conveyance. Ultimately the decision will depend upon the specific terms of the community's Governing Documents and the risk the association is willing to bear that a decision will be contested in court including consideration of the ramifications of an adverse ruling. For a variety of reasons, an association's board of directors may determine that it is in the best interest of the association and its members to convey an easement over the community's common elements to an owner or to a third party such as a neighboring property owner or a utility. Many Governing Documents, including those of pre-1999 planned communities, include provisions authorizing the association to grant easements over common elements to utility companies or municipalities with or without some level of member approval, but do not authorize the board or the association to grant easements over common elements to any other party. The Act addresses this issue in N.C. Gen. Stat. § 47F-3-102(9), which provides that one of the powers of an association is the power to "grant easements, leases, licenses, and concessions through or over the common elements." Unfortunately, this provision of the Act does not apply to pre-1999 planned communities. If the Governing Documents for a pre-1999 community do not explicitly give the association the power to grant easements or licenses over the common elements, the association should not attempt to do so without member approval. When faced with this situation, a pre-1999 community must review its Governing Documents and consider the same member approval options described above regarding conveyances of the common elements. 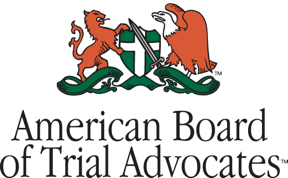 One of the duties of an association's board of directors is to establish an annual budget for the association which will be funded, primarily, if not exclusively, by assessments against owners. Since assessments are determined based on the budget, the annual budget is very important to owners. Some, but not all, pre-1999 planned community Governing Documents include provisions requiring some level of owner approval to increase annual assessments in excess of a certain amount; for example: in excess of 5% over the prior year's budget. Owners in the pre-1999 communities whose Governing Documents are silent have no control over the budget other than to vote off (or in some cases, to remove) the board directors who have adopted an unpopular budget. The Act gives owners in post-1999 planned communities the power to reject the board of directors' budget. N.C. Gen. Stat. § 47F-3-103(c) provides that the owners in a post-1999 planned community must be given an opportunity to ratify the community's budget. After preparing the budget, the board of directors must provide a summary of it to all owners and hold a meeting to consider the budget. It is not necessary that a quorum of owners be present at the meeting. If the owners of at least a majority of all the lots in the planned community reject the budget, it will not be ratified and the budget for the previous year will continue in effect until the budget is ratified. N.C. Gen. Stat. § 47F-3-103(c) does not apply to pre-1999 planned communities. If the Governing Documents of a pre-1999 planned community do not give owners the right to approve or reject the budget prepared by the board, the owners have no control over their association's budget other than to vote against the re-election of the board or vote for the removal of the offending directors. The owners will not find approval authority in the Act or any other statute. Owners in pre-1999 planned communities who want to have at least some level of budget control should consider amending their Governing Documents--which raises the next issue. One of the most common, and certainly most important, actions taken by an association is the amendment of its Governing Documents, specifically the declaration. Until legislation enacted by the General Assembly in 2013, pre-1999 planned communities could only amend their declaration if, and upon the terms, provided for in the community's declaration and other Governing Documents. In 2013, the Act was amended to make N.C. Gen. Stat. § 47F-2-217, the declaration amendment section of the Act, applicable to pre-1999 planned communities except as provided below. N.C. Gen. Stat. § 47F-2-217(a), which, with the exception addressed below, is now applicable to all planned communities, provides that "the declaration may be amended only by affirmative vote or written agreement signed by lot owners of lots to which at least sixty-seven percent (67%) of the votes in the association are allocated, or any larger majority the declaration specifies." The association's declaration may require a higher level of member approval, but the minimum level of member approval in a residential community is 67%. There is a catch. While N.C. Gen. Stat. § 47F-2-217 now applies to pre-1999 communities, it does not if "the articles of incorporation or the declaration expressly provides to the contrary." Unfortunately, the meaning of this phrase has created potential problems for pre-1999 communities. For example, if a pre-1999 community's declaration contains a clear and unambiguous provision providing that a mere majority of all members can amend the declaration, the provision in the declaration should control over N.C. Gen. Stat. § 47F-2-217(a). If, however, the declaration contains ambiguous language regarding amendments, such as "all actions taken by Members shall be by majority vote," it is unclear whether this is a sufficiently "express provision" to override the 67% approval floor set out in N.C. Gen. Stat. § 47F-2-217(a). The amendment applying N.C. Gen. Stat. § 47F-2-217 to pre-1999 communities is new and has not yet been interpreted by a North Carolina appellate court. Until that time, planned communities without clear amendment provisions in their declarations should consider taking the conservative approach and complying with the Act. There are several other provisions of the Act that do not apply retroactively to pre-1999 planned communities, but the provisions discussed above seem to create the most problems. Directors and members of a pre-1999 planned community who desire to convey title to or grant an easement over common elements, grant members some level of budgetary approval, or amend the community's declaration based on the current provisions of its Governing Documents will need to carefully interpret their community's Governing Documents to decide how to proceed. In some cases, the best way forward may be to amend the Governing Documents or simply adopt the application of the Act in its entirety to the planned community, an alternative that the Act makes available pursuant to N.C. Gen. Stat. § 47F-1-102(d). In any event, these are not decisions to be taken lightly and associations facing these choices should seek legal advice before choosing a course of action that could ultimately be determined to be invalid if challenged.